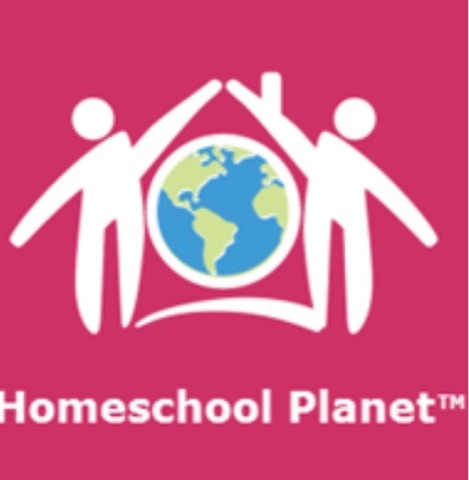 The following is a review of Homeschool Planet from Homeschool Buyers Co-op with the TOS Homeschool Review Crew. We received a one year subscription to Homeschool Planet as well as a limited offer of their June special of a free lesson plan from their brand new Lesson Plan Marketplace. This online planning resource is so much more integrated with our family screens than my typical pen and journal planners. Adding a cell phone number with each person added to the planner has the additional bonus of enabling messages and reminders to that family member by text. It is evident that this planner was designed for the modern homeschool family. It is more than just a lesson planner; it is a life planner! In fact, it was even designed by homeschoolers! From a computer, this resource is easy to use. The safari version was being updated when I signed up, so I primarily accessed it from my laptop. It does require an internet connection. Homeschool Planet's homeschool planner is just one part of Homeschool Buyers Co-op. 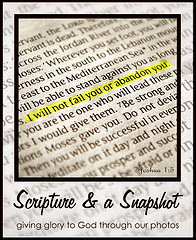 They offer resources and special sales for homeschool families. You can sign up for their emails and never miss one of their daily deals. In the past we've ordered God's World News through their link. When setting up profiles for your family members, you can upload pictures to further personalize each one. I used nicknames for each persons profile name. The calendar has multiple options for planner, resources, and lesson plans. As you add to the planner, additional options let you choose class, birthdays, and everything else. Since our lessons have slowed down during this summer, most of our plans fell in the "everything else" category. Each activity can be labeled for one or multiple people. Class subjects are color coded on the planner. I used the class option for things like VBS which have multiple days. I added an additional subject of "family" for events we are all a part of. Typical subjects are already installed and can be personalized with just a few clicks. Choosing the class option activates the assignment generator. Assignments can be customized and changed for each day. 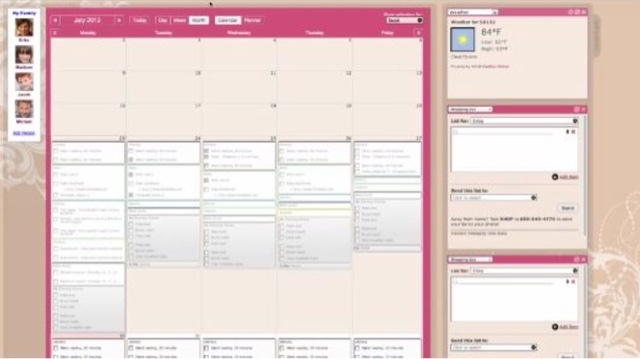 In addition to the calendar, the planner desktop or home screen includes several customizable options. These options include a daily quote, daily Bible verse, reading list, to do list, shopping list, weather, look up, and messages. 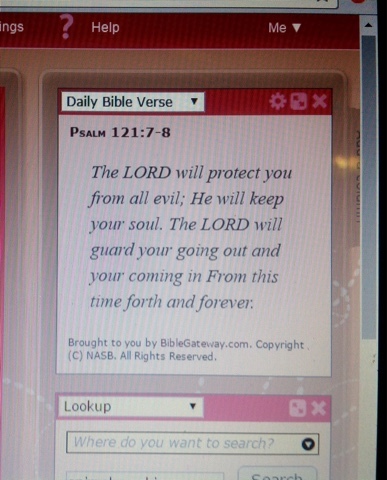 My favorite option is the encouraging Daily Bible Verse. 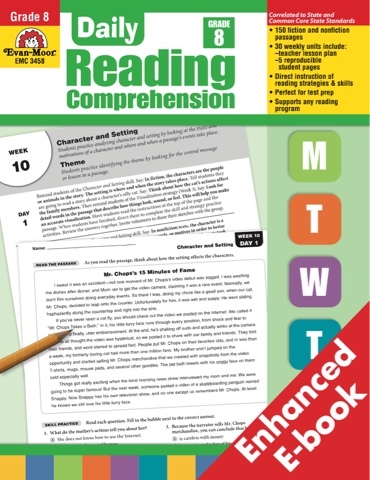 Another freebie I chose specifically for my son was the 8th grade Daily Reading Comprehension which can be downloaded and printed. I chose to save it as an ebook. Homeschool Buyers Co-op has so many special offers. If you haven't already discovered them, sign up! They offer a free one month trial of Homeschool Planet. If you sign up in June, you will receive the offer for the free lesson from lesson plan marketplace, too! Find them on Facebook, Twitter, Pinterest, and Instagram.